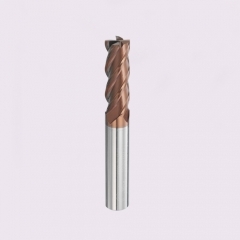 With a wide range of flat endmill for steel processing HRC55 in stock. 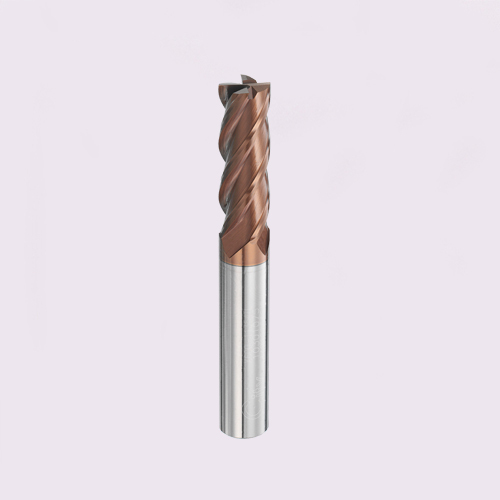 We can also do flat endmill for steel as per customers’ needs. 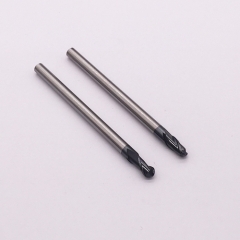 1) high hardness and wear resistance: at room temperature, cutting part material must have enough hardness to cut into the workpiece; with high wear resistance, the tool is not wear, extend the service life. 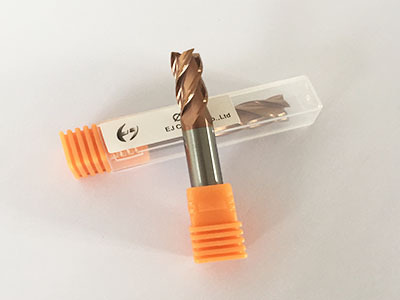 3) high strength and good toughness: in the cutting process, the tool to bear a great impact, so the tool material to have a high strength, or easy to break and damage. 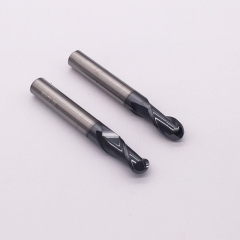 As the milling cutter will be the impact and vibration, therefore, milling cutter material should also have good toughness, it is not easy to chipping, fragmentation. 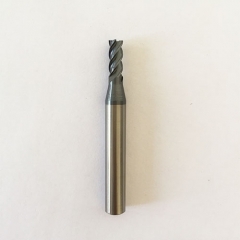 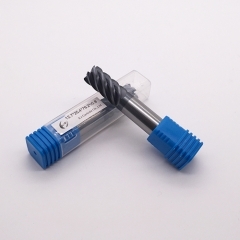 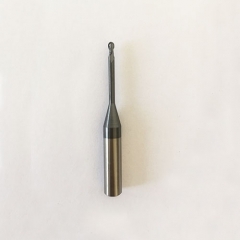 One main end mill material-tungsten carbide: metal carbide, tungsten carbide, titanium carbide and cobalt-based metal binder made by the powder metallurgy process. 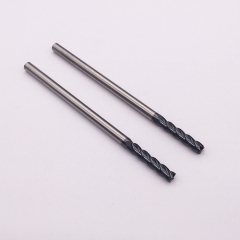 Its main features are as follows: high temperature, 800-10000C or so can still maintain a good cutting performance, cutting can be used when the high-speed steel than 4-8 times the cutting speed. 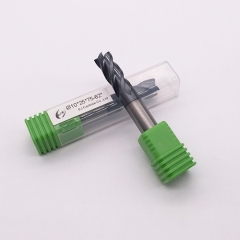 High temperature hardness, good wear resistance. 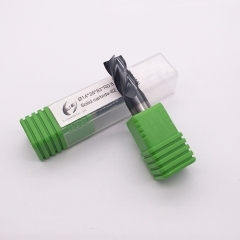 Low bending strength, poor impact toughness, the blade is not easy to wear very sharp. 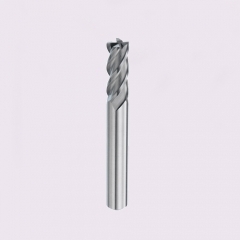 EJ Carbide flat endmill for steel processing including:2,3 and 4 fluts flat end mill,falt end mill with HRC45,HRC55,HRC58,HRC60 and HRC65.can also produce flat end mill for steel processing as customer's needs.